iCloud Drive has the ability to automatically save files saved on your Desktop and in your Documents folder to the cloud. Apple says these are the places where most files are saved, so this feature will be very useful for anyone who uses multiple devices. 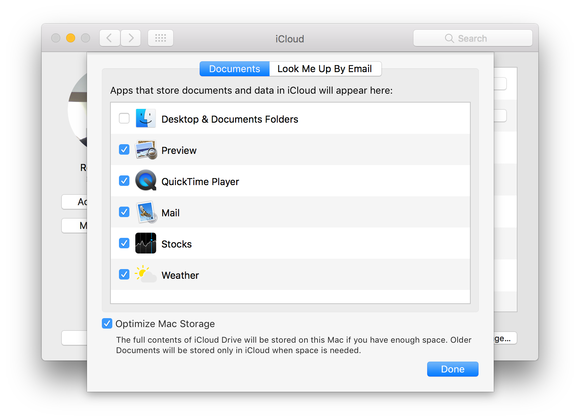 Here’s an overview on how iCloud Drive’s Desktop and Documents access works. In macOS Sierra, got to Apple Menu > System Preferences > iCloud. iCloud Drive appears at the top of the list in the main section of the window. Check the box for it, and click on Options. In the Documents tab, there is a section labeled, “Apps that store documents and data in iCloud will appear here.” At the top of the list will be a new Desktop & Documents Folders listing. Check the box to activate it. That’s all you have to do to activate it. iCloud needs a few minutes for your files to save to iCloud; how long depends on how many files you have. 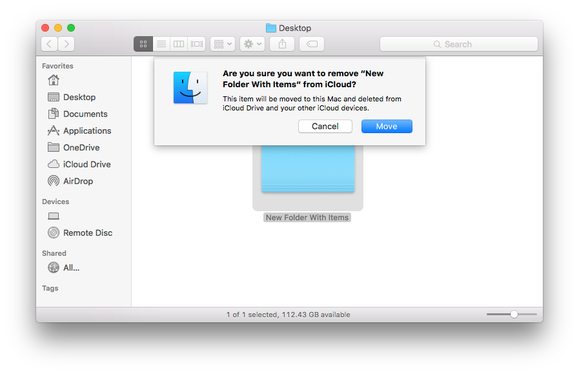 When you go to your iCloud Drive through the web, there are now Desktop and Documents folders. iCloud Drive accessed through the iCloud website. The new Desktop and Documents folders show up when you activate Desktop and Documents access in macOS Sierra’s iCloud system preferences. Your iOS device can access files in the Desktop and Documents folder if you have iCloud Drive turn on on your device. This can be done in Settings > iCloud > iCloud Drive, and then turn on the Show on Home Screen setting. Tap on the iCloud Drive app on your Home screen. You’ll see the folders you can access, including Desktop and Documents. Tap on a folder, and you can get to the files. If the other Mac you are using doesn’t have Sierra, you can still access the Desktop and Documents folders that were created by the Sierra Mac. You will need internet access. In a Finder window, iCloud Drive appears under Favorites. Also, in the Finder, you can click on the Go menu and select iCloud Drive, or press Shift-Command-I. 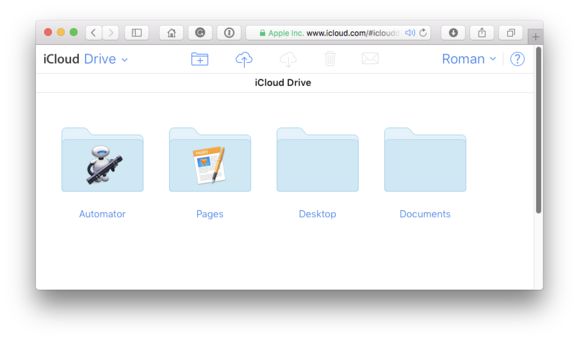 Go to the iCloud Drive, and you’ll see Desktop and Documents folders. You can access the files from the Sierra Mac this way. Your Desktop and Documents files on your non-Sierra Mac’s local storage device won’t be automatically saved to iCloud Drive. Files from your non-Sierra Mac need to be manually saved to the Desktop and Documents folders on iCloud Drive if you want your Sierra Mac to access those files. If you try to drag and drop copy files from iCloud Drive’s Desktop or Documents to a non-Sierra Mac, you’ll see this warning. To copy files from the iCloud Drive Desktop or Documents folders when using a non-Sierra Mac, you have to hold down the Option key while dragging and dropping, or right-click the file and select Copy, then on your non-Sierra Mac, right-click on the destination and select Paste Item.